St Johns Park Bowling Club hosted a night of entertainment in July 2017, launching Fairfield Relay For Life. They are also proud sponsors of this community event, and helped to round up the locals to sign up for Fairfield Relay for Life. Kamal Hadid knows cancer doesn’t discriminate. 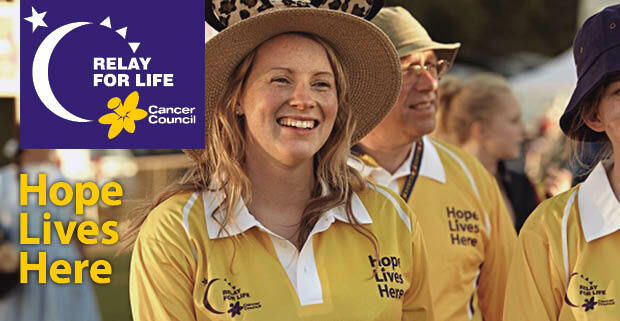 A Cancer Council volunteer for the past decade, Ms Hadid said the tenth Fairfield Relay For Life was the perfect platform to ‘face the enemy with a big smile’ and put cancer front and centre of thinking. Fairfield Relay for Life will embrace the theme ‘Around the World’ in 2017, celebrating diversity and working towards a cancer free future. Ms Hadid said all people from all cultures had a role to play in eliminating cancer. Ms Hadid said her volunteer work with Cancer Council had revealed many people in the community, and especially those from non-English speaking backgrounds, were still unaware of the basic facts on cancer. She said the right information from people they identified and connected with helped address the uncertainty and fear. ‘If there’s a connection there, people will think about the information you are giving them more freely and be more accepting of it. Sign up for Fairfield Relay For Life today and face your enemy with a big smile. It’s better than sitting in a corner and hoping it will go away’, she said. Fairfield Relay For Life is on November 4 and 5 from Prairiewood High School. Early bird registrations are now open. Sign up today at Fairfield Relay For Life.